The Suzuki Sling Shot Plus would be costing ₹1,000 more than the Suzuki Sling Shot. 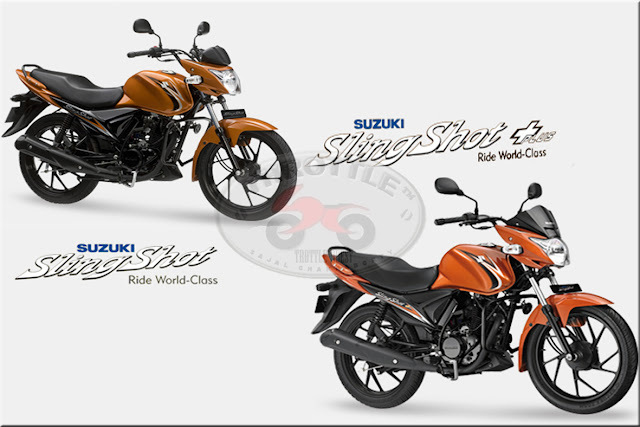 To sum up, Suzuki was initially (meaning before the launch of the Suzuki Sling Shot Plus) the only manufacturer in Indian, making Indian bikes, which had 6 bikes in it's Indian portfolio, amongst which only 2 were Indian bikes and the rest were CBUs. 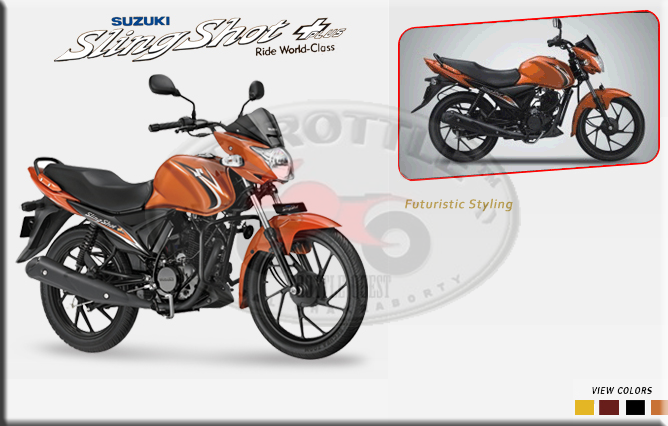 The introduction of the Suzuki Sling Shot Plus takes the count of Indian bikes to 3, but in a very pale way. Well bro... I rather not comment on that one... else if would one long paragraph full of the F word. Utterly irritating I would say. That money could have well been spent on coming up with a better bike in my opinion. The concept/execution of TV Ad looks like from the 1980's. Its a pity actually as Suzuki makes one of the best/smoothest engines and gearbox. the tv commercial is dismal. worse commercial on tv right now, hands down. just doesnt make sense. like that the heck is it supposed to mean anyway? O Suzuki Slingshot? and the sardarji saying it again in punjabi accent.. o suzuki fuckshot is more like it. Absolutely man... it's like an ill cooked egg, the only thing you can best with it is throw it away. The the resultant of that TVC clearly translates into the sales number of the Sling Shot. Till date I've seen none on Gurgaon roads.